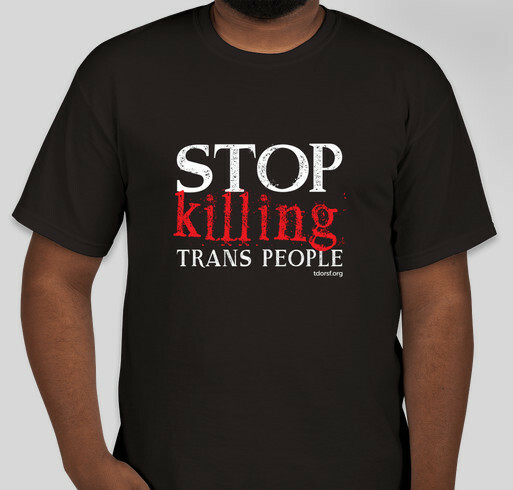 Buy a shirt to support trans people and raise visibility! All funds raised will go directly to SF LGBT Center - TDOR Planning Team . Last year was the deadliest year on record for transgender Americans, with 27 homicides reported, most of the victims being trans women of color. In 2017, at least 25 transgender people have been murdered. Almost all of them, except four, are women of color. TDOR is a genuine tribute to those who have lost their lives to anti-transgender hatred or prejudice. This day serves to raise awareness of the abuse and violence faced by the trans community, as well as our families, friends, and cis allies. Share Why You Support "Trans Day of Remembrance 2017"